As you've watched the show over the years, do you ever find yourself identifying with or appreciating characters that you didn't when you were younger? Have there been specific plots, actions or quotes that make more sense to you now than they did at first? Conversely, are there characters you now appreciate less than your originally did? For me, I've grown to appreciate the SWAT Kats immaturity and rebelliousness from a viewing perspective, as I think it really distinguishes them from other protagonists in other similar series. They don't have any lofty goals, and they're motivated almost purely out of spite, exhibiting a refreshing level of pragmatism in how they conduct their vigilante activities. They're unapologetic, and in many ways "normal." Elsewhere I've commented on how I appreciate the "blue collar junkyard tech" aspects, and also stated how I solidly believe they're a good example of anti-heroes. Despite the over-the-top universe, my suspension of disbelief is always maintained because as characters they feel real to me. Most famously? Feral. I can still remember that as late as 2000 or thereabouts, I didn't like him very much. But my opinion gradually changed for the better. I think this change really began around the time I started doing my in-depth reviews (plug!) of the first few episodes, as I analyzed his actions and concluded he was quite the jerk he was made out to be. But since I think I've said too much about that already, I'll move on. There's also Manx, who I now tend to view as being less of a harmless buffoon and more as being a very real potential danger due to how grossly inept, cowardly and selfish he is. And Callie. I have flip-flopped on her more than almost any character. I began indifferent to her. Then I started disliking her strongly, eventually outright hating her guts (which can be seen in how I really rag on her for her treatment of Feral in my reviews)... until I realized I was being really unfair, and that whatever else I may think of her as she was presented, she had potential as a character, and, now, through my fanfics and scripts, I'm trying to be a little kinder to her to make up for all the mean things I've said about her. The SWAT Kats themselves, eh, I figure it'll always be a kinda love-hate relationship with them for me. It's their show and they have their moments where they rock, but just as many moments where I palm my face at them. First, it's Callie. I really liked her at first view but now it's shifted into 'Wanting to love her punctuated by bouts of fustration'. Like Koosh said there's tons of potential with Callie's character. I love her work ethic. I love that she cares about the city when Manx has other ideas. I love how she took a metaphorical bullet for Manx where the Metalikats are concerned. But I don't like how she goes into cheerleader mode for the SKs, and how she treats Feral. I also don't like the double standard that allows for the SKs to operate without any scrutiny from her, yet Feral is forced to operate within the law and have other restrictions on top of that. My ideal Callie would be fair, or at least trying to be fair, willing to read both the SKs and Feral the riot act when needed. I would have loved a scene where Callie's getting onto Feral's case about something with the SKs snickering in the backbackground, only for her to turn and get onto them about something. I've shifted stances on the SKs too. I've gone from viewing them as heros to viewing them closer to anti heros. They're very reckless and seemed to lack introspection when the situation called for it. They're still cool, but I can't view them as out right hero with how they treat the Enforcers (leaving Feral out for a moment), their egos that Callie pumped up, and their crime fighting methods. Alright, first off? Thanks so much for opening this thread first of all, I'm basically brimming over with love for this show. After watching SWAT Kats obsessively as a kid and then taking a 15 year break before rewatching it as an adult, I was really stunned by how much I took out of the show this time around. I had some heavy retrospect/appreciation whiplash when I realized just how much the show's cast influenced and inspired me to become the gal I am today, and how much the second season's animation, the show's music and dark atmosphere inspired my art (and tastes) as an adult. One theme I'm going to really drive home in this reply is that ultimately, what struck me overall with SWAT Kats this time around is just how anti-establishment the show was for it's time. And I mean beyond the generic "vigilante" trope that sings that tune to begin with. And beyond how much this show seemingly wishes it could swear, man have I never heard a kids cartoon sling so much "crud" and fake swears. All the way down to the other characters, and the (now classic) rock/metal music that signified the soundscape of the series in a time when so many hard rock/metal bands' music was banned by Congress and not allowed in circulation. 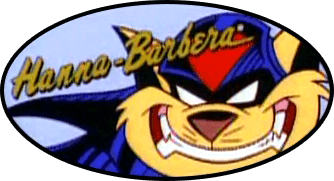 The SWAT Kats burst out on the cartoon scene when it was obviously controversial for its time, leading to being put in low-ratings timeslots to not offend parents concerned that violent cartoons were corrupting "today's youth", which impacted toy production... leading to the studio losing money making the show and it's abrupt cancellation. The anti-establishment nature of the series in it's 80s/90s contemporary setting comes out through and through in a way I basically love to shreds. "Who says we can't fight City Hall?" As you've watched the show over the years, do you ever find yourself identifying with or appreciating characters that you didn't when you were younger? Oh yeah, with a lot of the characters. I ADORE T-Bone full-heartedly today (and can even "get" his enjoyment for Scaredy Kat--that docked a lot of points from me as a kid) and really appreciate the depth that he has as a character, and even Jake's own enigmatic makeup of even-tempered reservation juxtaposed with reckless daredevil rebellion. Chance gets more attention than Jake does in the character development area, but what's left unsaid about Jake has me fairly interested and speculating on his person. "Razor, t-they're shooting live ammo!" "Hey, it wouldn’t be a real test without some danger." Feral and the Enforcers definitely embody "the establishment" in this vigilante show, and are mocked as such by our underdog heroes with sassy remarks and by showing them up; a recurrent "stick it to the man" theme throughout the series. Despite how obvious the purpose of Feral and the Enforcers are in being created to fill that role in this story as a foil to the heroes, the writers still gave a micro view of the most recognizable faces of the "status quo" (Feral and Felina) humanized dimensions as characters instead of leaving the "police force" of MKC a complete caricature of a laughingstock military. Fan-fav examples include Feral's integrity in light of his less favorable traits and antagonistic role, and Felina rebelling within the establishment (even having the audacity and guts to oppose her commander uncle when she doesn't agree, dang) while using the best of what it can offer to get the job done. "I don't deal with scum." Also, what even IS Dark Kat? Necromancer headcanon: activate! The Metallikats were always amusing as villains, but the lack of their brand of oldschool gangster banter in mainstream media since then really packs a nostalgic treat. Felina Feral and Turmoil, and even the "hey, you can't break a story without breaking a few rules" Ann Gora all had perceptible impact on me as I grew up xD The feminist leanings in that show really galvanized my own rebellious attitude in the face of the claustrophobic conservatism that I had to face growing up to an extent I didn't recognize til I rewatched SWAT Kats. Looking back, I'm super grateful for that!! Felina, it's cool, we all know the party doesn't really start without you. I oddly identify with and appreciate Callie Briggs more. The joke that she basically "ran the city" behind an incompetent, figure-head mayor wasn't lost on me as a kid, but really struck a much deeper cord as I got older. 20+ years ago it was still fairly controversial for women to be in positions of political power in a social/political settings (and as much progress has been made, still is) and to me, not only does Callie's position as Deputy Mayor scream progressive, but also actually running the city really strikes me as one of the strongest underlying "stick it to the man" statements the show made in the historical/social context of feminism in the real world. "That's right sister, and I'd do it again in a heartbeat!" The fact that Callie's duties aren't officially substantiated with a position AS mayor when the incompetent Manx is in charge really strikes a bitter historical chord of how many far-more qualified women wind up taking back-seat to men in positions of power who either squander or abuse it, or get passed down to the less deserving male candidate because he'll be taken "more seriously" as a leader than a woman. But the situation is still handled with humor, and not only that, but Callie isn't bitter or out to prove a point. She sets an example I looked up to instead, and still admire. She shows up for the greater good and takes action, rather than getting caught up either apologizing for her power, or her helplessness when the odds are against her. She is down to earth, simply takes charge as she sees fit, and has the guts to toss her courageous sass even in the face of death. 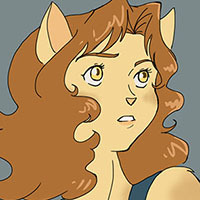 Callie utilizes her freedom within her limitations as Deputy Mayor, has progressive and humanitarian views (I'm skipping the cat puns here) and rebels against the status quo within the establishment by being an accomplice to the SWAT Kats, and by being a woman in power trying to make changes to a system begging for an upgrade. And she’s even good with money! Have there been specific plots, actions or quotes that make more sense to you now than they did at first? Conversely, are there characters you now appreciate less than you originally did? "We swear we're really adults. Honest!" I still don't quite get what "Down these means skies. A kat must fly" means tho. Dunno if I’m missing a comma or am just missing a reference all together, or what. I never really grasped that one. It sounds poetic but awkward xD Or I'm 20 years slow. Help, anybody? Aptly put! I love the note that they're motivated by spite, though I'd add that it seems that over the long haul, they stay motivated by their long-standing ideals for the common good and how they wish to envision themselves and take charge of their lives, and a refusal to be put down and deal with the unfair hand they were given. "This time, we do it our way." I like how they don't pursue their activities with this "cheap thrill/rush" crap that I see everywhere in modern media daredevils, either. I don't doubt it's there xD But it's never romanticized or specifically draws attention to itself, which is refreshing! And dude, I totally agree with you 100%, they are anti-heroes <3 Feral is right, they are criminals, but criminals in a system that's too inept to deal with the world as it's become and the obstacles they face. It's a system that needs vigilante criminals. "Screw the law if it doesn't work" is an attitude the SWAT Kats totally exemplify (and that I personally love) and they do it in the most convincing combo of ridiculous hero-fare, down to earth "normalcy", and realistically competitive bromance I've ever seen in a crime-fighting duo. In fact, outside of SWAT Kats, I don't think I've seen that dynamic pulled off so well, anywhere. …but it's clear that the Enforcers aren't just a laughingstock compared to our vigilante anti-heros. The SWAT Kats need the Enforcers just as much as the Enforcers need the SWAT Kats to protect Megakat City, even when it's barely acknowledged on either side. "Thanks to the diligent effort of my Enforcers…And with some minor help from the SWAT Kats…"
Because of this, I believe that if there ever was a thematic ending to this series, it would have come from a solid resolution on both sides of “good” against the ever-present threats of "evil" against their world. "Yeah, glad to see you too, Commander." I really want to properly comment on this topic when I can find some real free time. But until then, I just want to say how much I freaking love Betaruga's post. I wish I could favorite and keep it forever. I was greatly entertained and you really pointed out some fun stuff I never thought of before. I just really liked it. Hopefully I can add some thoughts of my own when I have time to sit down and write something (hopefully somewhat) worthy of following this awesome post. When I watched the show in my younger years, I supported the Swat Kats, and even empathized with them. They struck me as an underdog (underkat? ), unfairly beaten down by a system that they wanted to help. It seemed tragic, and this struck a chord with me. As I have gotten older, I realize there are several sides to each story, and it is hard for me to unconditionally side with the Swat Kats. The show is about the titular characters, ostensibly because they are unique and interesting, but are they *right* in what they do? Always? Are there other angles to this that we are not given? It's very hard to know for sure. I sometimes wonder how the show would be if the focus wasn't so much on them per se, but on the city as a whole and all of its dynamics. Mikazo wrote: When I watched the show in my younger years, I supported the Swat Kats, and even empathized with them. They struck me as an underdog (underkat? ), unfairly beaten down by a system that they wanted to help. It seemed tragic, and this struck a chord with me. @Ty-Chou Aww girl! Shucks, I'm really touched by your sweet reply to my post :3 It really cheered me up and made my day. (not to mention, it's so long I'm surprised anybody took the time to read it, LMAO) really excited to hear yours and everybody else's responses as well, and there's no "wrong" way to share your impression of the show xD Afterall, nobody else can do that but you! It would also give other characters more air-time, and allow for more exploration into the show universe itself. This might give the show more potential, although the Swat Kats could still be major, if not dominant, players. I think this board shows quite well how childhood fans- now adults- are asking different questions now than when we were kids. Such as the topic of how Chance and Jake were actually paying off their debt and the term of their punishment. As adults who are accountable for our actions with bills to pay, we now wonder about these sort of things. As kids with no responsibilities, we just couldn't fathom these types of questions. I often wonder about Megakat City's fiscal stability with the city constantly being torn apart by one baddie/monster/alien after the next. What kind of insurance should/can you get as a citizen of the city? And I wonder about the geography. How far away is Megakat from other cities. What are those cities like? Do they experience the same type of craziness as Megakat does, or is this particular city some sort of bad guy central? As an adult and a writer, looking back on the show as a whole, I have a greater appreciation for how it progresses- especially the relationship between Feral and the Swat Kats. How its starts with T-Bone and Razor's bitterness toward an outraged Feral. Then, as the show progresses, you see a reluctant respect between them forming, though they are still somewhat rivals. As adults- as we've seen on the board- fans also start questioning the Swat Kats themselves. In certain episodes, did they make good choices? Were they right? Are they STILL right in what they are doing? Where we accepted everything they did with star struck eyes as kids, we see that even our heroic pilots do make mistakes. And we also start seeing flaws in the writing where characters didn't catch on where the audience did. As a jealous, self centered young girl, I had a certain aversion to the female characters- especially Callie. As an adult, I love them all and I also greatly love that EVERY SINGLE FEMALE CHARACTER in this show is a smart, successful career woman. Even the female villains are strong and capable and are forces to be reckoned with. And the fact that there are so many female characters in this type of show is also wonderful to see. I really feel this show- despite what weaknesses we have discovered as we grew- still holds up for adult audiences. It's quick and smart, fun animation to watch, and the characters are engaging and likable. Both kid me and adult me are still fans. Even though my two year anniversary of the day I started watching SWAT Kats is coming close and I really didn't watch it at its older airing, there's still some things I didn't even ponder at that first viewing, or any subsequent viewings in 2013 before the show was pulled off Boomerang. First off, when I watched "The Pastmaster Always Rings Twice", I never noticed the very stupid implausibility of an 800 year old kat coming back to life. Seriously, not even a bolt of lightning signaling his return to life! I guess the very vaguely known "Council" must have allowed him to wake after 800 years passed. Didn't really think of it then, thinking a lot about it now. There is the topic on if the SWAT Kats are right in what they're doing. Personally, I first thought, "Feral, they're saving the whole city somewhat! Who cares if one little section is destroyed?" Mostly, I stick by that opinion, but I feel the SWAT Kats should try to at least protect the city a bit better. Finally, I wanna talk about my first watching of "When Strikes Mutilor". At first, I didn't really question any of the logic in the episode to begin with, but now, I see my self questioning it, and I'm making a script for a Cinema Sins type video. It's actually somewhat fun criticizing the logic in the episode. Whether it's how the SKs keep surviving to how the Zaharbians need water, but judging from their call they probably already do, I like the logic being somewhat... True yet completely crazy.